I was listening to this in my car the other day, and my wife goes, "What the hell is this? Coldplay?" Fair enough. Somehow this is the only Pedro the Lion album I own (though I do have a caseless copy of Control that drives me mad with its caselessness and therefore doesn't count for our purposes), and I don't think I even bought it. I'm fairly certain a friend gave it to me. Listening to it recently, I remembered why I never really got into it. It doesn't exactly sound like Coldplay, but it is lacking some of the darker moments of their earlier work. "Discretion" almost gets back to it, but not quite. There's also the slight current of Christianity that runs through these songs, and that just doesn't work for me. Ever. So maybe that's skewing the whole thing for me. But maybe not. Control still sounds pretty solid to me. This was the band's (or just really David Bazan, I guess) last record, and it sounds like that. Sort of the last stab at something lighter that doesn't really work. 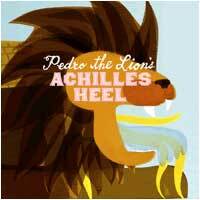 I pretty much had the same experience with Pedro The Lion. I bought one album, kind of liked but also kind of hated it, and never bought another one. I have 1998's "It's Hard To Find A Friend." It's one of those annoying records where there are 3 songs that I absolutely love and the rest I can't really get behind. And yeah, the Christian overtones that pop up (somewhat overtly on a couple of the tunes) make it a rough listen. The Coldplay burn is a pretty sweet one.